We specialize in helping homeowners stop foreclosure with our confidential analysis that is at no risk to you. We understand that there are many reasons why homeowners can become unable to pay their mortgages and we realize every situation is unique. We will take the time to review your specific situation and educate you on your options up front so you can make informative decisions about your future. 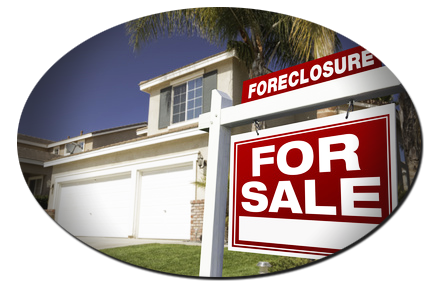 At MYclosing we take the time necessary to explain all of your options to provide comprehensive foreclosure help. We give you the information you need to help you determine if you can keep your home or if you have to sell your home to avoid or stop foreclosure. MYclosing has also become the go to company for educational updates on short sales for realtors, brokers and even our competitors. We take the time to stay up to date on all rules and regulations that can or will affect short sales and our lending partners keep us up to date on changes within their institutions as well so that we have the most up to date information possible at all times. We will also gladly provide one on one meetings for any realtor who would like more information regarding short sales or in house training for any real estate agency or broker who would like to offer a class or staff meeting centered around short sales. Simply contact us to discuss and schedule. Create a free account and submit your property -- a representative will contact you to learn more about your situation and figure out the best strategy for getting you out of foreclosure. Real estate agents are in a period where they have to think both proactively and reactively in an ever changing real-estate market. Just as some of the novice investors, we have seen many agents pack up their bags and leave the real estate market for good. If many of these agents and investors just thought outside the box a little, they would realize the same fortunes many are experiencing today with more properties than they can handle. Could you use a negotiation team to have your stagnant properties submitted with Buyer's offers? Create a free account and submit your property -- a representative will contact you to learn more about the property and figure out the best strategy for getting your real estate transactions closed! Homeowners, our services are here for you. Our Short Sale process, once completed, usually allows homeowners to sell their home with no out of pocket expenses. 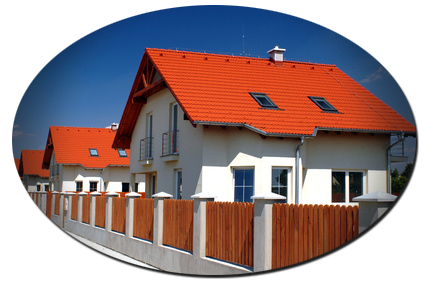 We negotiate with your lender to get your home sold and relieve you of the burdensome debt associated with it. The sale of your home requires all debts associated with the property must be paid. Sometimes your lender will pay these debts, but occasionally the new Buyers are required to pay them. In certain situations, some of the debts must be paid by the Seller. Many Homeowners are worried about having to make up the difference in what they owe and what the sale price of the home is. Not to worry, most times the bank will accept the the purchase price and mark the note as "paid in full". We also negotiate with 2nd, 3rd, and even 4th lien holders such as may happen with a home equity loan or line of credit. If you have IRS or Dept of Revenue taxes, we offer a lien release program (there is a fee for this service) for those as well. The lenders involved will probably issue a 1099 as income earned (any debt not paid is considered income in the eyes of the IRS). If the property in question is your primary residence, you may qualify for the 2007 Mortgage Forgiveness Debt Relief Act. Please discuss the benefits with your accountant, if you do not have one, we would be happy to refer you to someone familiar with the process. The most important aspect to remember is YOU have choices. MYclosing is here to educate and assist you in a way that is most advantageous to you and your future. Whether it is help with navigating the loan modification process (every lender is different), negotiating/processing a Short Sale, or just simply answering the tough questions you may have, MYclosing is here to help. Our team of loan specialists, Realtors, negotiators, processors, and title professionals are waiting for your phone call. Let us help guide you through the process. Don't bury your head in the sand and hope things will change or go away, contact us today. It does not matter if you send us an email at: info@myclosing.com or if you prefer, call us at: (877) 299-0251, we are here to answer your questions. Being a Certified Distressed Property Expert, we have the education and experience needed to assist you. We work with homeowners on a daily basis, just like you, that are looking to either work out a payment arrangement with their lender or want to sell to get out from underneath their debt. If you're a homeowner looking for immediate assistance contact MYclosing, LLC. The following disclosure is made pursuant to the Federal Trade Commission's MARS Rule (16 C.F.R. § 322 et seq.) and also pursuant to 12 C.F.R. Part 1015 of the Maryland Regulation O. You, the homeowner may have other rights under the Maryland Protection of Homeowners in Foreclosure Act. You may stop doing business with us at any time. You may accept or reject the offer of Mortgage assistance we obtain from your lender (or servicer). If you reject the offer, you do not have to pay us anything. If you accept the offer, you will have to pay us nothing out of pocket, but we reserve the right to collect fees at settlement from your lender and other parties, which will vary with each situation. MYclosing, LLC is a for profit business. MYclosing, LLC and their agents are not associated with the government, and our service is not approved by the government or your lender. Even if you accept this offer and use our service, your lender may not agree to change your loan. Real Estate Agents: Why spend your time processing short sales, being tied to your office and phone, at the Bank's beck and call, losing out on additional listings and income or worse yet, giving your hard earned leads to other agents because you don't do short sale, missing out on commissions and settling for a small referral fee? You don't have to do those things any more, MYclosing, LLC is here to help you. We have designed our services specifically for you. We fight hard to get the Short Sale Lender to approve 6% in real estate commissions. MYclosing will be responsible for collecting and verifying all short sale documents throughout the process and will handle all communications with the Lenders while consistently keeping you and your homeowner updated and aware of the progress of the sale. As you can see from our testimonials, MYclosing keeps our clients informed throughout the entire Short Sale process and our communication is unrivaled in the industry! To further assist us in providing you with the best possible service and to ensure our files are handled in the most efficient way, we work with a few select title insurance companies to clear title early on in the process. These title companies are able to complete the property and homeowner searches needed for today's Short Sales upfront to help us ensure full disclosure to all parties involved very early on. This helps prevent those dreaded last minute delays or settlement issues which can jeopardize the deal and cause buyers to walk away. Why not choose to partner with an experienced, knowledgeable, dedicated and professional company to handle the ever changing world of Short Sales and to help you get these challenging files to the settlement table. Contact MYclosing, LLC for more information on how we can assist you with closing more of your transactions via email: info@MYclosing.com or phone: (877) 299-0251. If you are an Attorney, Title Company, Buy and Hold Investor or any other Real Estate Professional and you are looking to outsource your loss mitigation/short sale negotiations, contact MYclosing via email: Info@MYclosing.com or phone: (877) 299-0251. Learn more about the foreclosure laws and timelines in your state. Click here to select your state! MYclosing was established to help Homeowners and Real Estate Agents handle the special nuances of Short Sales. Each Short Sale is different and needs treated as such. MYclosing’s experience, knowledge and expertise can help reduce turnaround times and increase closing ratios and revenue for agents and their brokers. Upfront Title research to help avoid last minute title issues that can delay or prevent settlement. Welcome to MYclosing, LLC. Our philosophy is simple-treat every closing as if it were our own. We ask ourselves every day, "What would I want done if this were My Closing?" We have assembled together our team of experts to handle all of your short sale needs. Our dedicated staff is excited to navigate the short sale process for you.